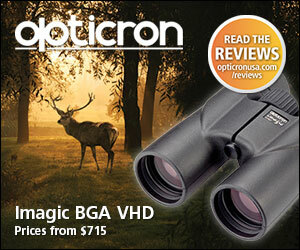 HUSKEMAW’S new 10X42 Blue Diamond HD binoculars are outstanding optics. After 3 years of field-testing their HD Blue Diamond binoculars under extreme field conditions HUSKEMAW has released them to the public. Engineered to be ultra light and compact this high definition optic features a streamline design and high definition lens coating. They are extremely functional as well as durable. When I first picked up the new HUSKEMAW 10×42 HD Blue Diamond binoculars I was totally blown away by how compact, light and functional these optics were. Then, after looking through a pair of the Blue Diamonds and seeing how clear and defined the objects were that I was viewing I knew I had to add these binoculars to my gear list! 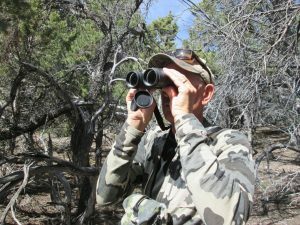 I know there are many outstanding optics on the market today but if you are a hunter, outdoorsman or “birder” who has been searching for a pair of sleek, lightweight optics without compromising outstanding quality at a very affordable price then look no further than HUSKEMAW’S Blue Diamond HD 10×42’s! Weighing a mere 24.6 oz. and only 5.6” in length the HUSKEMAW Blue Diamond HD’s fit perfectly in your hands, allowing individuals to glass for extended periods of time without becoming fatigued or suffering eye strain. Compare the weight and length of the Blue Diamond’s to other high-end optics such as Swarovski and you will quickly understand why HUSKEMAW has hit a home run with their high definition optics. Weatherproof as well as fog proof, these cutting edge binoculars give you the ability to focus from 2 yards to infinity and importantly come with a Lifetime Warranty. The high definition lens coat has been designed to promote clarity and eye relief. As HUSKEMAW tells their customers, “IF YOU’RE NOT THE LEAD DOG…. THE VIEW NEVER CHANGES”! When compared to other high quality 10×42 optics HUSKEMAW’S HD Blue Diamonds are noticeably more compact, lightweight and slender in design. This translates into a “glove like fit” within your hands and is the perfect combination for extended hours of glassing out on the mountain. With an outstanding Field of View calculated at 6.5 degrees, the HD Blue Diamond 10×42 optics, when compared to other high quality binoculars of the same magnification, will stand “toe to toe” with any other brand on the market. The 42mm objective lens, although not as effective at gathering light as a much heavier and bigger lens such as a 56mm, still does an excellent job of gathering light to provide you with clear images under the low light conditions found at dawn and dusk when mountain hunters need clarity the most. With a very functional, smooth, large focusing wheel, the HD Blue Diamond binocular provides the viewer with the ability for instantaneous adjustments to ensure clarity of the animal or object they are looking at. Designed as a “roof prism” binocular to reduce contrast and increase clarity, the body of the Blue Diamond HD is highlighted with a shock-absorbing armor. Ergonomically very appealing, HUSKEMAW has designed these optics to be waterproof as well as fog proof which is very, very important to hunters who demand binoculars that are resistant to constant changes in temperatures. This dynamic, 10 power optic, will magnify what you are viewing ten times larger than your naked eye and can be focused from 2 yards out to basically infinity. Built to stand up against the toughest conditions HUSKEMAW’S Blue Diamond is manufactured in a dark black color to reduce glare. Featuring both ocular and objective lens caps for protection, the Blue Diamond is also aesthetically pleasing. 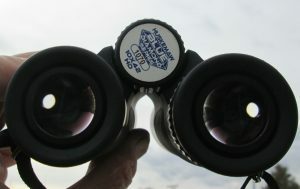 This binocular is highlighted with white HUSHEMAW LONG RANGE OPTIC lettering and their trademark “Blue Diamond” colored ring on the outside of the objective lens. HUSKEMAW’S HD Blue Diamonds have also been designed with ocular eyepieces that can be twisted in and out to accommodate individuals who wear eyeglasses. After 3 years of field testing on high mountain hunts for sheep, goats, elk and mule deer, HUSKEMAW has proven this adjustment to be sound mechanically as it functions flawlessly. This is a very nice, accommodating feature. The fluoride coating on the high performance HD lenses promotes brighter images to ensure optimal clarity and color even under the difficult lighting conditions that you will encounter out on the mountain. •	Close Focus: 2 yds. GLASSING WITH HUSKEMAW’S NEW HD BLUE DIAMOND BINOCUALRS FOR LONG PERIODS OF TIME IS EFFORTLESS! 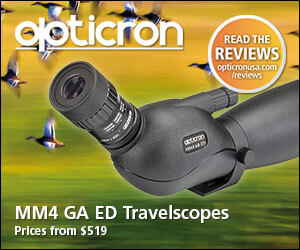 Your choice of the optics you use is one of the most critical gear decisions that a hunter or outdoorsman can make. As an avid big game hunter/outfitter/guide I must utilize the highest quality optics for maximum success. The binoculars I choose must not only provide me with a “confident edge” but also have the capability to assist me in locating trophy animals whose eyesight is much better than a humans! As a wild sheep guide I depend on my binoculars as they are absolutely indispensible! 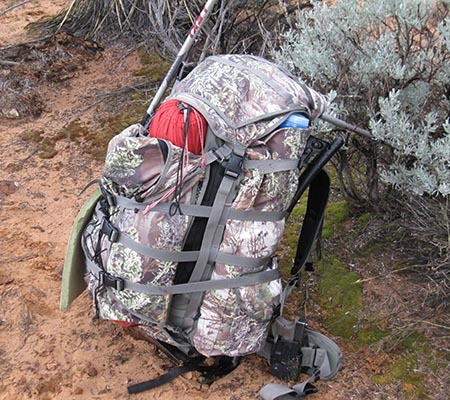 Because I am generally glassing for rams in enormous, broken up canyons and expansive plateaus and broken up, convoluted terrain, I generally use a large pair of heavy 15 x 56’s when backpack hunting. However, I’ve found that smaller 10×42 binoculars such as the Blue Diamond HD’s can be very effective in certain types of heavily forested country and they are much lighter to pack around your neck. For years I’m been a huge fan of Swarovski Optics but when I read about and saw the new HUSKEMAW 10×42 HD Blue Diamonds in person and compared them to my Swaro 10×42’s, I knew immediately that I had found another outstanding pair of optics at a superior price. With high-end optic companies such as Swarovski, Zeiss, Leica, Nikon, etc, you pay extra for quality but also for the name and brand. With HUSKEMAW, you are not only purchasing an incredible pair of 10×42 high end optics at a reasonable price but are also working with a quality Optics Company that is quickly moving ahead in the industry with innovative products. I appreciate the fact that HUSKEMAW is working extremely hard at being the lead dog so that they can see the world of optics from the front. It should be noted that HUSKEMAW has initiated their Infinite Protection Program that covers all of their optical products. The IP Plan was launched by HUSKEMAW on January 1, 2015, and states, “HUSKEMAW will repair or replace your optic with a product of equal or greater value free of charge on damage that affects its functionality, no questions asked! You can’t beat HUSKEMAW’S INFINITE PROTECTION PLAN. I am a firm believer in paying extra money for quality optics. HUSKEMAW’s new HD Blue Diamonds feature the outstanding design, glass and mechanical construction that I demand. In other words, they are a superior binocular. When spending your hard earned money on optics I demand a lifetime warranty and superior customer service on a huge investment. It should be noted that I currently have not had one issue with my Blue Diamonds and I am confident that HUSKEMAW would stand behind their product and lifetime warranty if I do. The optics I use today must feature High Definition lenses as I demand the best in clarity from edge to edge of my field of view. Having the ability to enhance the smallest details of trophy caliber animals or bring to life objects so that I can differentiate from a bedded ram, bull or buck is absolutely mandatory. When using the HD Blue Diamonds I’ve found that they provide me with the low light enhancing performance that is absolutely essential since the early daylight and late hours of dusk are the most critical times for glassing big game animals. 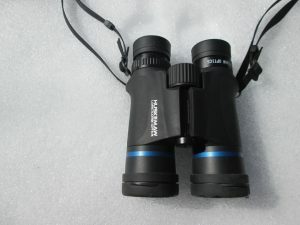 With my HUSKEMAW 10×42’s I have appreciated the sleek design, weight and engineering as these binoculars are not only ergonomically easy to handle but I can focus these binoculars immediately from short distances to infinity for the resolution I need. The magnifying vision/clarity the Blue Diamond’s provide give me the advantage I need and make the difference between winning the battle out on the mountain or losing it! This optic has been a pleasure to use in all situations and is worthy of standing up against the top end competitors. At a price of $1,199 the HUSKEMAW Blue Diamonds are incredible optics to purchase if you are looking to invest in a superior product. They will provide you with years of use. The HD Blue Diamonds also come with a lightweight rain cover and bino straps that can be purchased separately. I highly recommend the purchase of this high quality optic, as I believe you will be very pleased with the results and lifetime warranty. The “HUSKEMAW” advantage is building a very positive reputation in the outdoor world with their outstanding line of riflescopes, optics and accessories. HUSKEMAW OPTICS is located in Cody, Wyoming, and is well known for the development and innovative engineering. 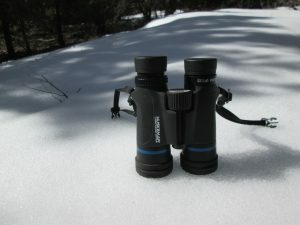 “The “HUSKEMAW Advantage” is best described as “the most precise, quick and user friendly system pre-validated in a known environment.” “HUSKEMAW scopes as well as the new Blue Diamond HD binoculars are built to withstand years of use and provide reliable functionality in all field conditions”. 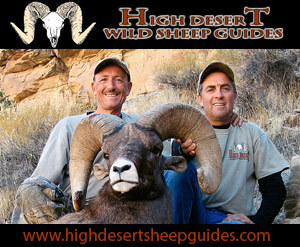 HUSKEMAW is also featured on the Best of the West Outdoors T. V. show! Of course, we are never satisfied when it comes to high quality optics, as our thirst and demand for wider field of views, etc, will never be quenched. LOL HUSKEMAW engineering has done a great job with their new Blue Diamond HD Binoculars. Congratulations on an outstanding product.